For a very long time I've been trying to have a healthy diet and start a vegetarian/vegan diet. This option is a very difficult for me because the biological/vegetarian/vegan options aren't always cheap and accessible, but for a while now I've been incorporating vegetarian and vegan options in my diet and maybe someday I'll be able to become a 100% vegetarian. Here in Portugal sometimes is hard to find accessible vegetarian / vegan options that aren't not only stupidly expensive but available in stores. 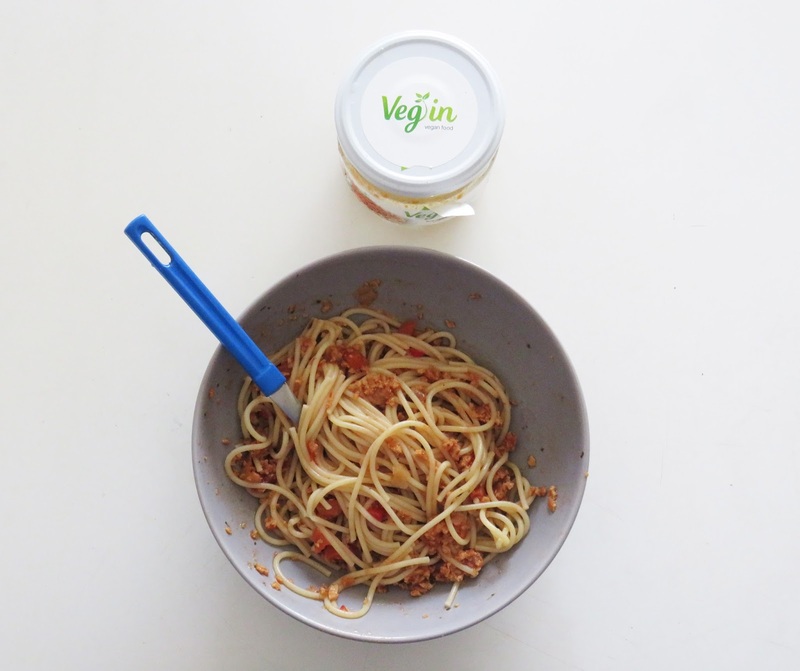 Today I'm talking about this brand called Veg In Vegan Food. I discovered this last July and I must say that their products are very delicious and super easy to make! This brand has a lot of food options being main courses, cake mixes and others. You can check their website here. I've also tried their hamburgers and soy sausages when I was on holiday in Algarve here in Portugal and both are super delicious. On today's post I'm only going to talk about the vegan vegetable bolognese, so if you want to see me talk about more of these brand's products please tell me in the comments. 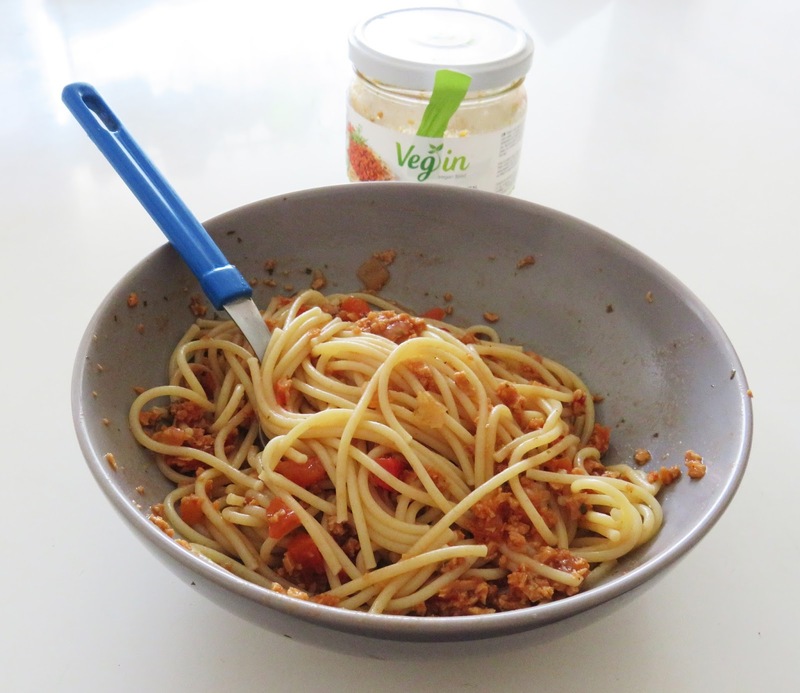 So, to achieve the meal that you can see in the photos above, I cooked wholemeal spaghetti with a little pinch of salt for ten, fifteen minutes. The I drained the pasta strainer and transported the pasta to my bowl. I then added the content of the jar to the bowl, mixed everything and voilá! A healthy and vegan meal! And I must say that it tastes just as a meat bolognese, which makes the food even better.This jar can be used for two separate meals and can be stored in the fridge. 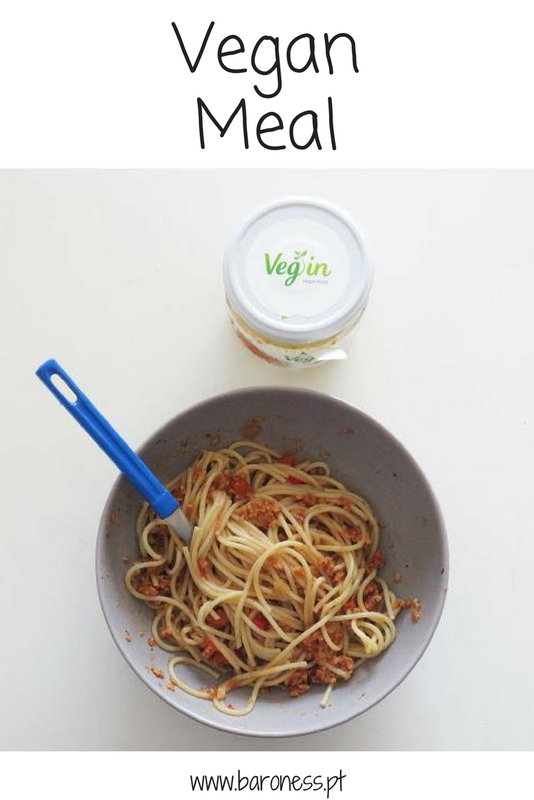 Two days before this course I made this exact same food in a packed lunch for uni and I told my friends to try and to tell me what they thought it was and most of them thought it was real meat so you can see how amazing this is! 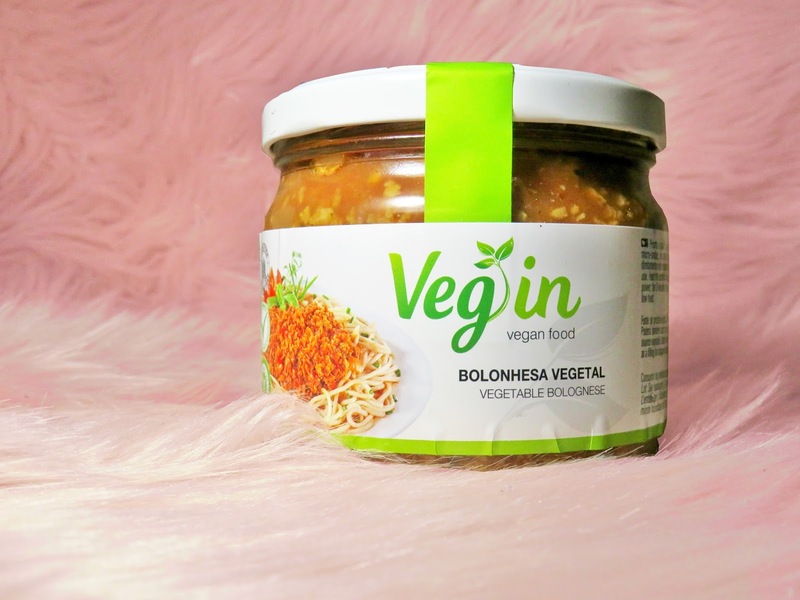 This jar costs around 4,00€ in the local supermarket here in Portugal and can be a good alternative for meat. Seems great, I would love to taste it!